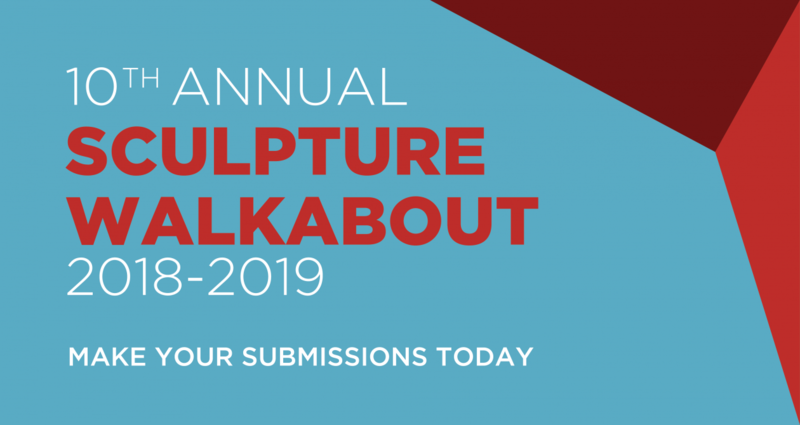 The Arts Council and the City of Wichita present an opportunity for regional sculptors to display their work by creating the outdoor Sculpture WalkAbout exhibit. This project is meant to advance the cultural awareness of the arts in our community, as well as enhance the aesthetics in Wichita. Each chosen sculpture will be on display for one year, beginning August 31, 2018. 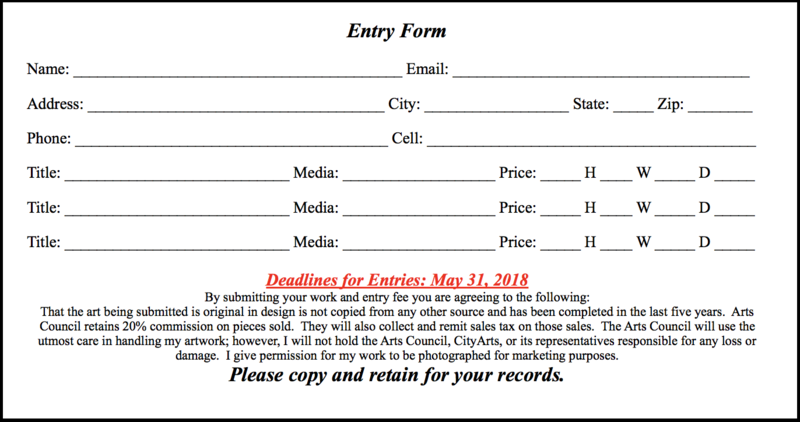 Artist may enter up to three (3) works in jpg format on a compact disc. An entry form, along with artist statement and bio must accompany the jpgs submitted. Maximum of three (3) alternate views of each work submitted is acceptable. Please clearly label all material with artist’s name, title of work, dimensions and media. All submitted material becomes the property of the Arts Council. Selected artists must sign a contract in which they agree to the following: To allow the artwork to remain on display for the duration of the exhibit. 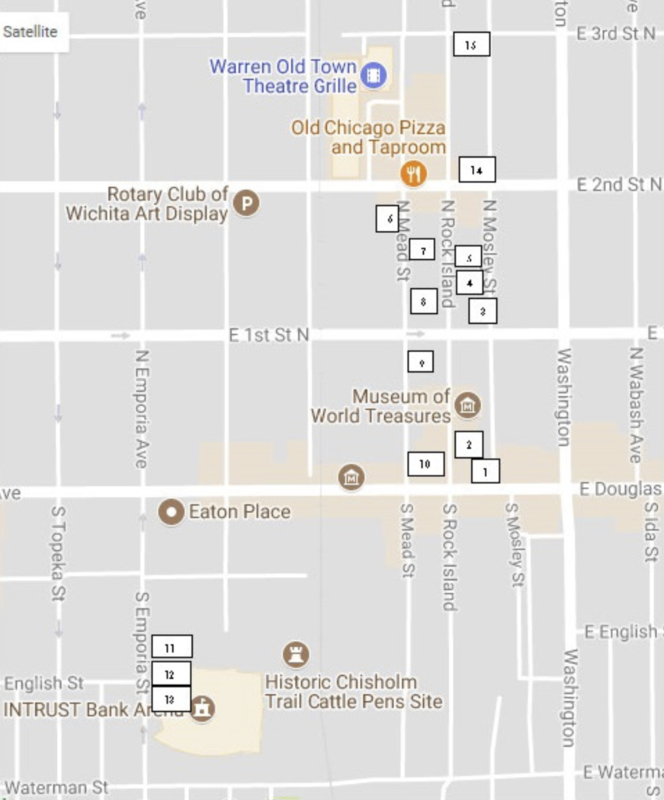 In the interest of public safety, the City of Wichita has the right to remove damaged sculpture in the event the repairs are not promptly and satisfactorily completed by the artist. Open to all regional artists 18 years or older. All artwork must have been completed within the last five years. 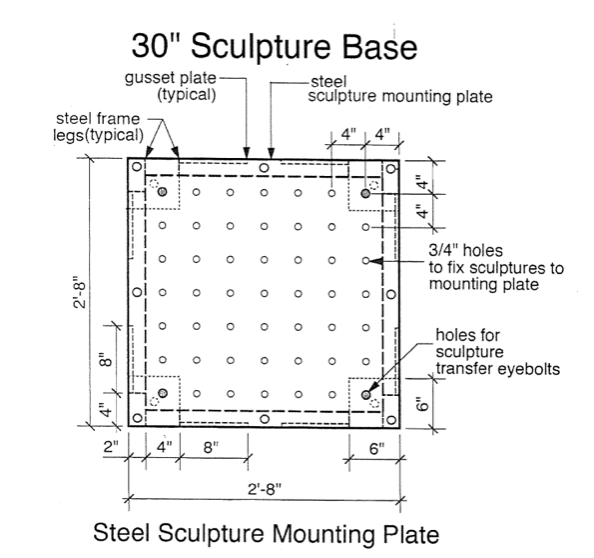 Artwork selected must be free-standing, made from suitable materials for long-term outdoor display. Attention to scale and presence of the sculpture in open outdoor venues should be considered. Artists who are selected for the 2018 Sculpture WalkAbout will receive a $750 honorarium for the participation of new works. Artists selected to retain a work for a second year will receive a $250 honorarium. Artists selected for the exhibition will enter into a one-year contract with the Arts Council, Inc., upon notification of acceptance. Artists are solely responsible for the delivery and installation arrangements of their artwork. Artists will be required to contact Bernadette Bradshaw prior to the installation and again at the removal of their artwork at the exhibit’s end.